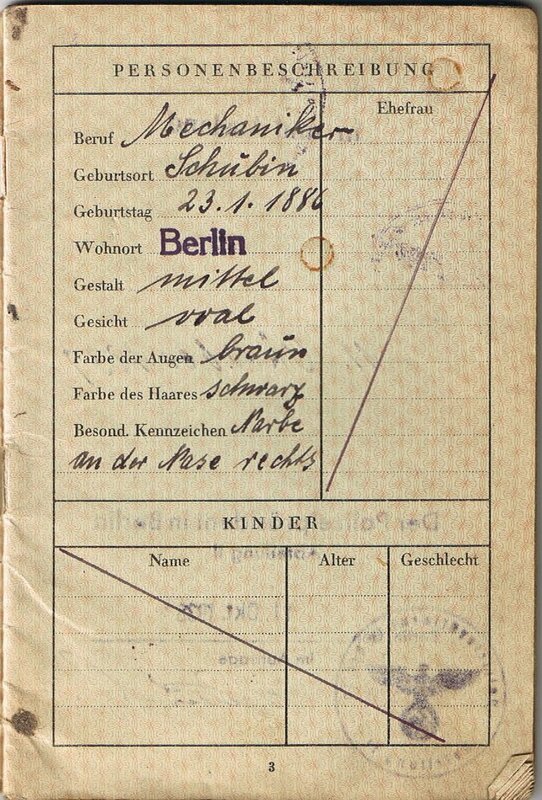 Marksology: Wanna See An Old German Passport? 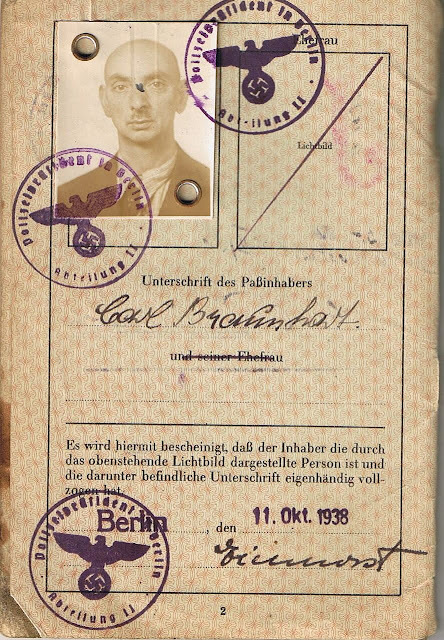 Thanks to Herb Hart, we have the passport of his grandfather, Carl Braunhart. It is a 5 page document and we are posting here the two most informative pages. Interestingly, on one page his first name is spelled with a "C" - Carl, and on another with a "K" - Karl. It is amazing that he was able to get out of Germany at that time - he arrived in New York in January, 1939. 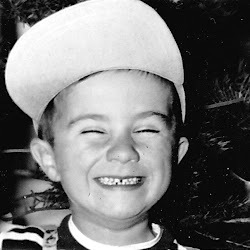 I believe that some conniving, cleverness, and luck was a contributing factor. 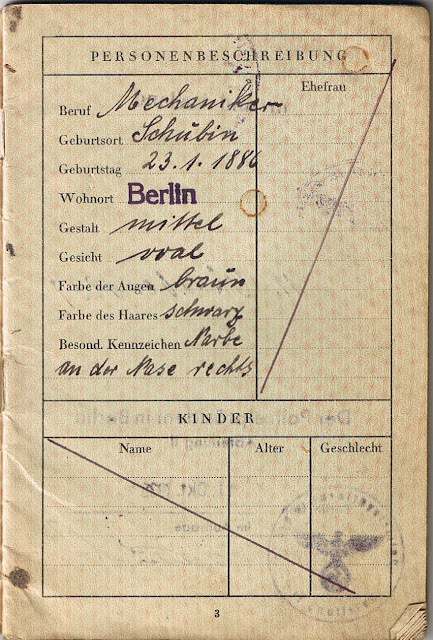 Fortunately his wife Hedwig was able to leave a year later in early 1940. Unfortunately their daughter Hanna was captured and killed.